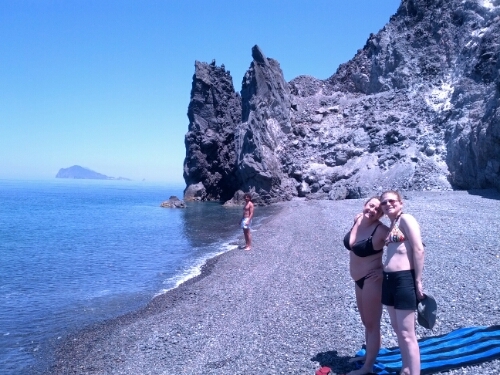 Katherine, Laura, Antonio, Chicho, Toy, and I rented a boat today for a look around some of the other Aolian Islands. 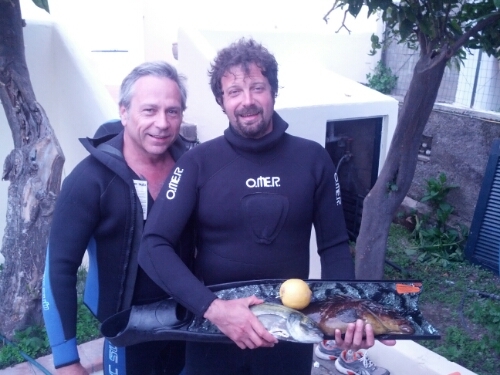 We visited Lipari and Volcano, as well as stay off of the coast of Salina, where Chicho and Toy caught our dinner. What a wonderful day!